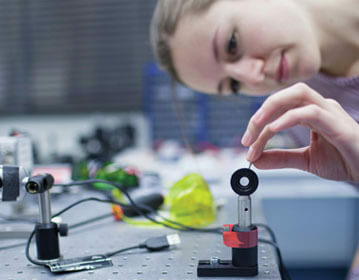 The Texas Instruments Innovation Challenge (TIIC) – Europe Design Contest is a student competition open for European universities (undergraduates and postgraduates). Your task: Solve today’s challenges on Automotive/Industrial/Innovation with an electronic solution using your analog and embedded processing skills! Expand your knowledge whilst working on a systems-level project! TIIC 2016 has raised the bar for student innovation for a consecutive year, as once again our judges were blown away by the technical quality of the reports as well as the pioneering designs in this year’s 3 new categories – Automotive, Industrial and Innovative. Competition was very fierce; as more teams competed for the ultimate cash prize of $5,000 USD in addition to a personally inscribed workshop at the UnternehmerTUM Center for Innovation and Business Creation of the TUM Munich University. In November, TI was pleased to announce the 3 winning teams, and subsequently invited them to demonstrate their projects during the Electronica Fair in Munich on Thursday 10th of November 2016, along with a presentation exhibiting their experience from the tailored workshop at UnternehmerTUM. As the whole, the event was a tour de force of intellectual, innovative, and inspirational talent. 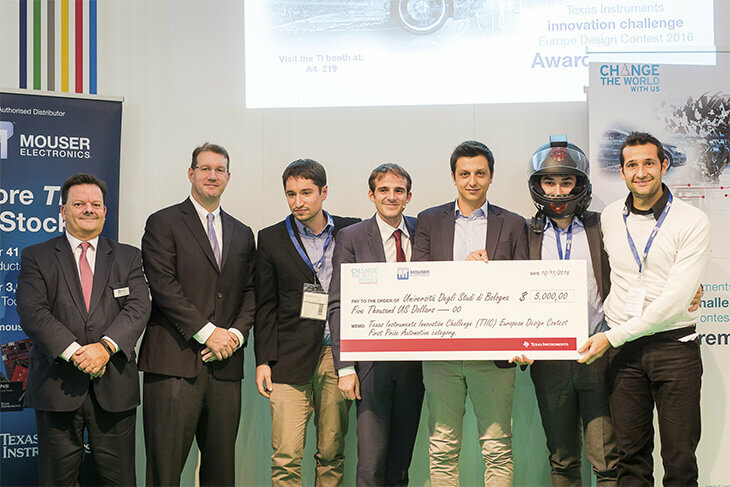 First prize in the automotive category went to the University of Bologna (Italy), where students used a range of TI technologies including two MSP432P401R microcontrollers to create a connected motorcycle helmet which alerts motorcyclists to potentially dangerous situations on the road. The team: Team leader Tomasso Polonelli and team members Lorenzo Spadaro and Angelo D’Aloia. 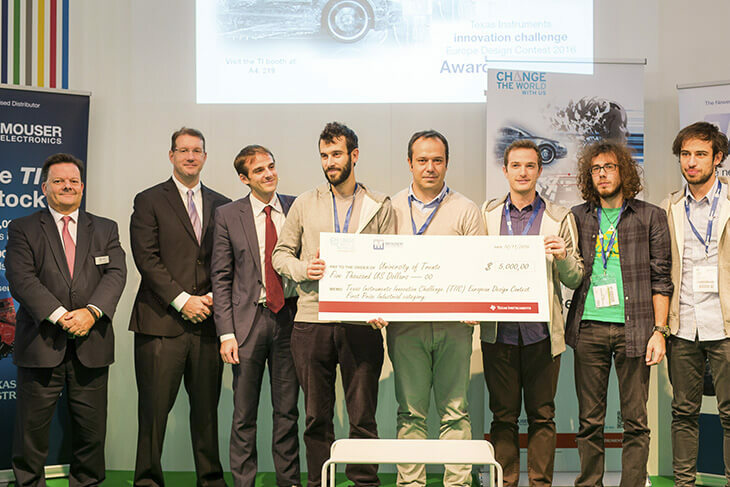 Students from the University of Trento (Italy) won the industrial category with their design for a long range monitoring system powered by plant microbial fuel cell, and using TI’s HDC1080 digital humidity sensor. The team: Team leader Luca Gemma with team members Luca Torquati, Cristian Catania, Sergio Camalo and Pietro Tosato. Finally, in the innovation category the winning design came from future engineers at Brno University of Technology (Czech Republic), whose concept for a wireless system using TI technology including the CC1101 low-cost sub-1 GHz transceiver to deliver very accurate (<1ms) low latency time measurements in sports impressed the judges. TI would like to thank all participants for their hard work, determination, and innovative ideas. All teams displayed excellent reasoning and problem solving skills, and demonstrated their dedication to improving the world with innovation. With the knowledge and training that the teams have received at the Unternehmer TUM Center for Innovation and Business Creation, they now have a full range of tools and knowledge to launch a start-up operation with their creative ideas, as well as the support to keep innovating and developing. 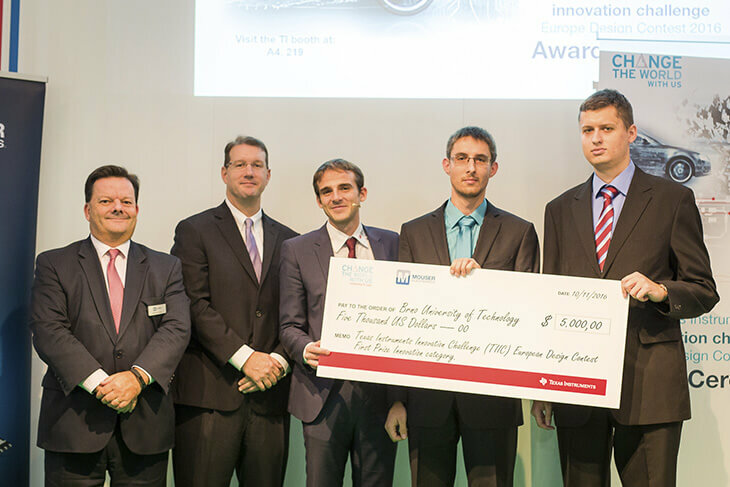 We are pleased to announce our TI Innovation Challenge 2016 winners! The final results from the second (and final) round of judging are complete and the winners of each of the categories of the TIIC 2016 are now revealed. These 3 teams will be awarded with a cash prize of US$ 5,000 and an inscription to a personalized workshop at the Unternehmer TUM Center for Innovation and Business Creation of the TUM Munich University. The winners will be meeting entrepreneurs, analysts, start-up and prototyping makers-space representatives... a full range of tools for them to be able to launch their own start-up with their project idea! In addition, the 3 winning teams will have the chance to present their projects during the prestigious Electronica Trade Fair in Munich, on Thursday 10th November 2016. You are all invited to the ceremony! Once again, we would like to thank all participants of the TIIC 2016 for your hard work and creativity! We are pleased to announce that the results from the first round of judging are complete and the twenty-one winners of the TIIC 2016 first round are now revealed. Please note that the winning projects in the table are placed in alphabetical order and not in ranking order. These twenty-one winning teams will be awarded with a cash prize of US$ 1,000. Stay connected! The First Place Automotive, First Place Industrial and First Place Innovation teams will be published before the 31st October 2016 and will be invited to the TIIC 2016 Award Ceremony taking place at Electronica Trade Fair in Munich (Germany), on Thursday 10th November 2016. Once again we would like to thank all the participants of the TIIC 2016 for your hard work and creativity! The results of our T-shirt draw are out! 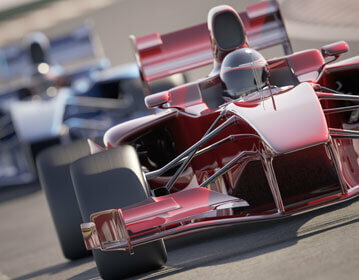 Are you participating in a Formula Racing Team? Interested in improving the driving security? E-mobility is your passion? Passionate on robotics? Visualizing the cities of tomorrow, smarter, safer and greener? Home automation and smart buildings are topics of your interest? At Texas Instruments, we care about innovative industrial solutions to drive a connected and more ecological world through Smart Grid, motor control, LED lighting, sensors, smart home, industrial automation and a broad range of applications! What does innovation mean to you? For Texas Instruments, innovation is the motor to reinvent the world. All starts with imagination! Be one step ahead and participate in the TIIC by bringing your most innovative ideas into the game! In the first round, TI will conduct a Contest based upon design reports submitted by all teams. There will be seven winning teams in the first round for each one of the categories (twenty-one winners in total). Each of these seven winning teams per category will be awarded US$ 1,000. TIIC 2016 is co-sponsored by Mouser Electronics. For more details please have a look at How to enter, as well as the Contest Rules.